100 years ago this month, the illustrious RMS Titanic, on her maiden voyage, sailed dangerously through heavy ice in the North Atlantic on her way to New york. Such was the ship’s titanic size (to use the pun), the amount of water that it took for the “unsinkable” ship to overspill beyond its water-tight compartments (that were only as high as the first 5 decks) meant that it was a whole hour and a half – until approximately 1am on April 15th – before the ship sank. 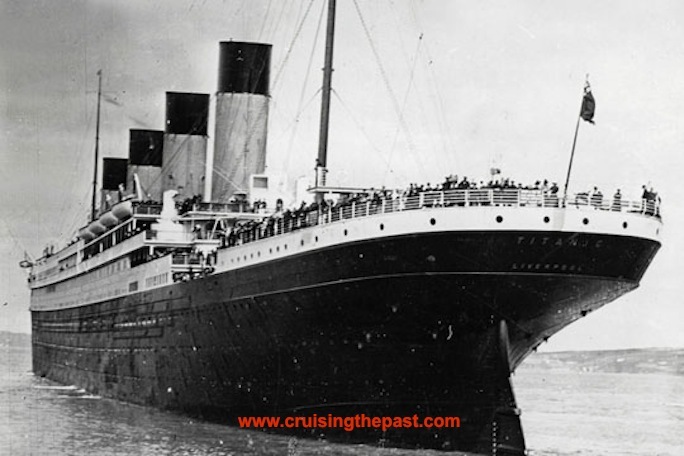 The story of the Titanic has long since become folklore. 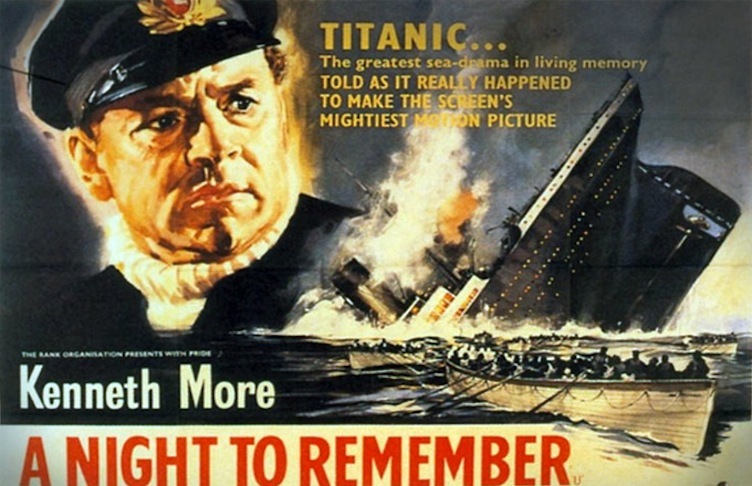 Of the many melodramatic film versions that have been made of this famous tragedy, only A Night to Remember has been specifically concerned with covering the reported facts of the disaster in documentary-like fashion, making it still the best and most authentic Titanic film ever made. Author Walter Lord garnered together all the known or most commonly recorded memories by witnesses (such as the notion that musicians were still playing when the ship was sinking), for his informative and compelling factual novel. In its unpretentious and un-melodramatic way (as well as the audacity not to require the name Titanic in the title), the company which was the first to option the film rights was therefore the relatively humble British Rank studio, but with the sort of facilities at Pinewood to be able to pull off a decent film adaptation of the tragedy. Producer William MacQuitty had an emotional attachment to the ship himself having seen the Titanic launched from Belfast docks, and was therefore able to convince John Davis, the head of Rank (then largely noted for Doctor comedies and other lightweight fare) to undergo the challenge of staging the sinking with a combination of the Pinewood tank, the Ruislip Lido, and the interiors for the well designed sets (by Alex Vetchinsky). For such an ambitious but relatively restrained production, good reliable character actors were called upon rather than stars – with the exception of Kenneth More, then Rank’s leading contract player, who receives top billing as Lieutenant Lightoller. 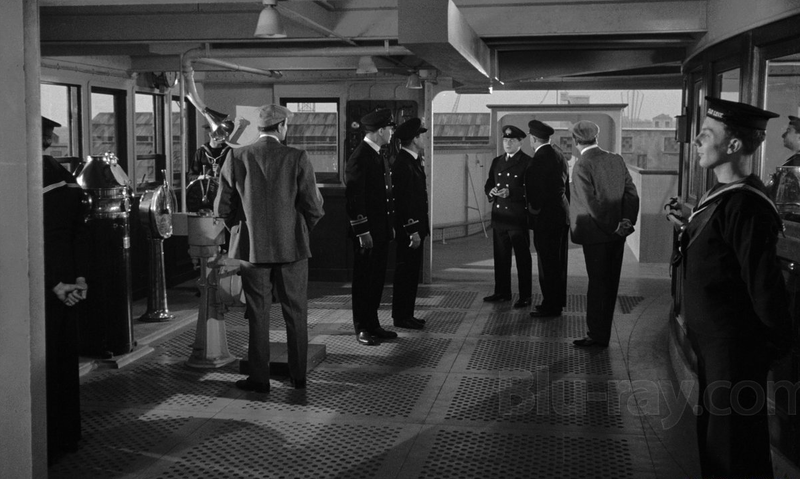 Other familiar faces of the years to come are to be seen such as a young David McCallum (as one of the two valiant wireless operators), and future Bond/Avengers girl Honor Blackman, and even Bond himself, Sean Connery, is apparently among the many extras assembled on the boat decks. The real star of the show however is the ship. In the days before the all-star disaster movie, many of these actors played their small but telling little cameo parts – like all good British character actors do – staying in spirit to the style of Walter Lord’s book in brilliantly accessible fashion by screenwriter Eric Ambler, and directed with an excellent eye for the escalating tension by Roy (Ward) Baker. Also covered in subtle fashion was the endemic class distinction that led to most of the First Class passengers being rescued, whereas 1,500 of the Second Class and steerage (Third) class and crew perished – plus those few who chose the dignity of death before dishonor for the sake of their wives and children. In any Titanic story, the most moving scenes are those of the loved ones unwilling to part from each other: most well known is the case of Mr. and Mrs. Isidor Straus, who had lived together for over 40 years, and therefore Mrs Straus was adamant that wherever her husband would go, she would go too. It’s worth pointing out that in terms of attitudes the world was a very different place in 1912. The First World War was two years later, where such notions of chivalry and the dignity of an entire generation were destroyed on the battlefield (and memorials were listed alphabetically instead of the Titanic memorials’ order of officers and First Class passengers first), so it seems a little improbable nowadays to think of people gladly forsaking their lives for others in such a way that those on board the great liner did. In its way, just as the September 11th terrorist attacks changed the way we view the world, so too did the Titanic disaster, before the rest of the 20th century unleashed its devastation on the planet. The story of the Titanic has created many myths and retellings (especially James Cameron’s 1996 blockbuster), but for the original story, or the best that can be approached to it, watch A Night to Remember. 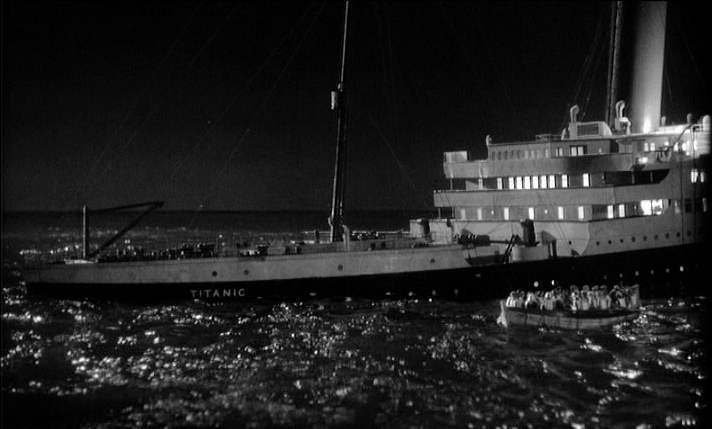 Previous: THE NAZI VERSION OF THE “TITANIC” – THE 1943 FILM MADE AT UFA IN BERLIN DURING WORLD WAR II.